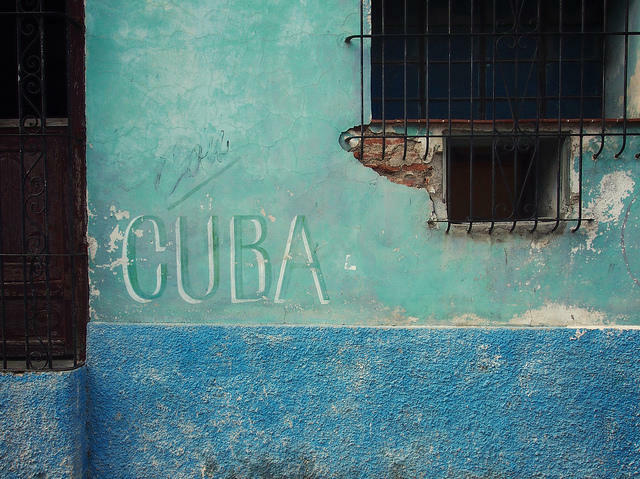 Cuba's removal from the U.S. terror sponsors list might open a path for businesses to work with the island. Maxwell added that these direct banking relationships would allow companies providing legal services to directly pay Cubans. Maxwell has been working with Cuba since his first trip to the island in 2003. He represented the first sale of cattle between Florida and Cuba since the embargo was put into place in 1961. The sale involved four different banks, each one causing “a lot of brain damage,” he says, “but it illustrated all these concrete challenges of how to make that happen." Additionally, the State Department struggled to find a bank willing to open an account in a future Cuban embassy in Washington, the Sun Sentinel reported. In March, Stonegate Bank in Pompano Beach made history. It will help Cuba pay its bills and process visas. Miami's Cubans had mixed responses to the news about the island's removal from the list of state sponsors of terrorism. Oscar Rodriguez, an attorney and resident of Coral Gables, came to the U.S. from Cuba in 1960. He said his family was anti-Castro, and "that's why we came to America. But by the same token, we're very happy that the people of Cuba will have an opportunity to live and enjoy some of the things that they have not been able to enjoy for 55 years." Rodriguez guessed that "about half" of the Cuban community shared his sentiments about the news. Ronell Borges, a car salesman, is part of the other half. "Honestly," Borges said, "I was in Cuba 17 years. I'm done with it. I'm here now, so I really don't care. I'm an American citizen now, my family's here, so I don't care." Removing Cuba from the list of state sponsors of terrorism clears the way toward further normalization of U.S.-Cuba relations. Full normalization still faces challenges, though. Last week, a fourth round of talks on opening full-fledged embassies stalled. This is a reader-submitted response to our May 20 story titled "Radio Martí Turns 30 -- But Is Anyone In Cuba Listening?" I strongly disagree with the characterization in Wilson Sayre's May 20 radio report that "only sketchy data exists" on Radio Martí's audience. Independent research confirms that 20 percent of Cubans report listening to Radio Martí in the last seven days. Further, we have numerous testimonials from Cubans on the island about our programs. Radio Martí Turns 30 – But Is Anyone In Cuba Listening? May 20, 1985: Ronald Reagan was president. Madonna was topping the charts. And Radio Martí went on the air. The Miami-based, federally-funded station began beaming Spanish-language news and entertainment into communist Cuba 30 years ago today. It was a sort of tropical version of Radio Free Europe – a Cold War effort to transmit information beyond the control of the island's totalitarian Castro regime.